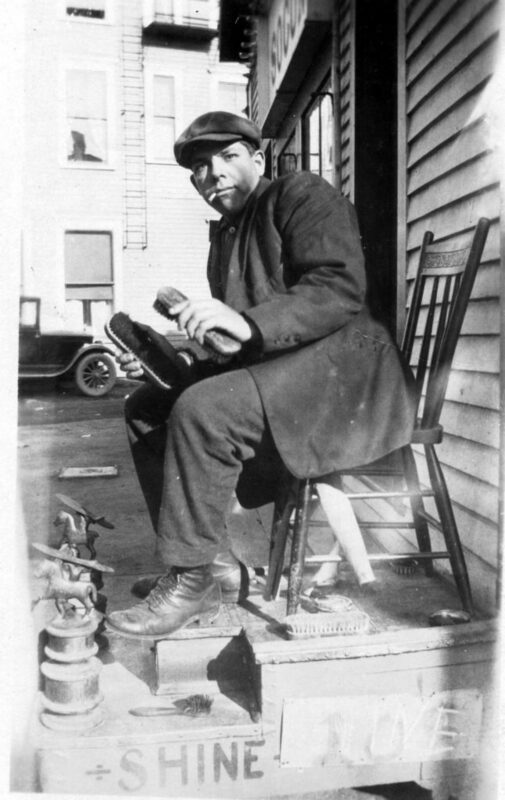 This young fellow is shining shoes on Main Street in Calais, Maine, in front of the Socony Gas Station. 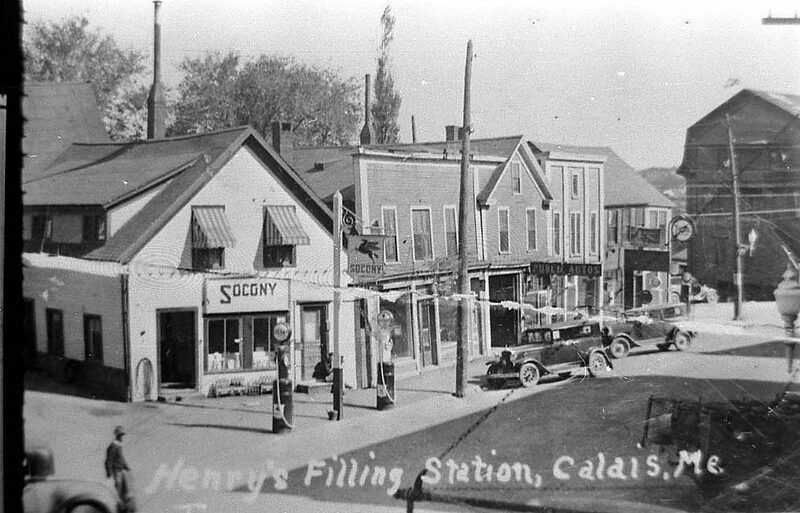 The gas station is located next to the St. Croix Hotel, which is to the left in the background. We date the photo to about 1920. 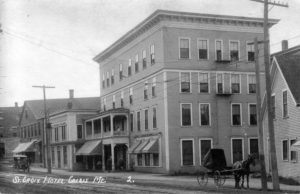 This photo shows the St. Croix Hotel, probably a little earlier than the first photograph. The building in front of which the shoe shine boy is working can be seen to the far right in this photograph. It has not yet become a Socony gas station, but the shape of the structure can be seen. Note the different forms of transportation that can be seen in this photo. To the far left is a very early automobile and to the far right is a horse and buggy. In the middle of the street are the street car tracks. 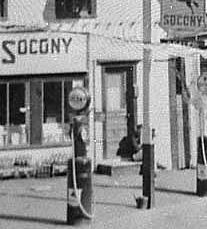 The Socony station mentioned above can be seen in this photograph, as can the platform the shoe shine boy is working. The wooden buildings pictured in this photograph are called the Flat Iron Block. 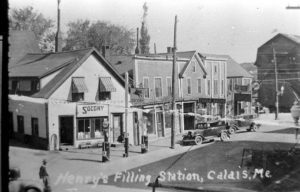 The Calais Free Library is directly to the rear of the block and this area is now Triangle Park. This is a closer shot of the platform the shoe shine boy was working upon.